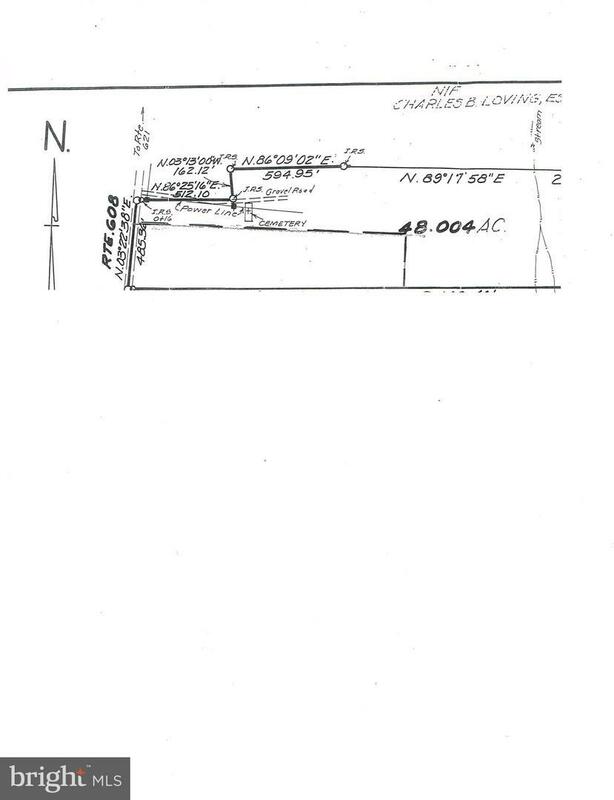 Zoning Description The Sellers Are in The Process Of Surveying 10 Acres Off Of This Tax Map Number. The House is Not included! Assessment Year 2018 Association YN No Central Air YN No Construction Completed YN No Current Use Agriculture Historic YN No Lease Considered YN No Navigable Water YN N New Construction YN No Original MLSNumber 301439222104 Ownership Interest Fee Simple Possession Settlement Property Sub Type Land Sale Type Standard Sewer Not Applied For Permit Tax Annual Amount 1216.0 Tax Assessment Amount 200600.0 Tax Lot 37A Utilities None Vacation Rental YN No Water Source None Zoning Rp Zoning Description The Sellers Are in The Process Of Surveying 10 Acres Off Of This Tax Map Number. The House is Not included!